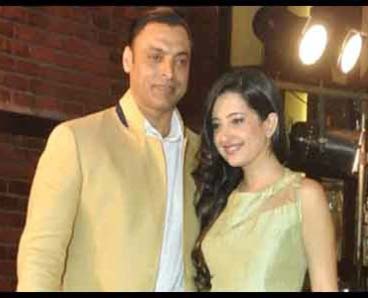 Former Pakistan fast bowler Shoaib Akhtar has tied the knot with a teenage girl named Rubab in Haripur District. An Urdu channel of Pakistan reported that the former cricketer married Rubab, 17, in a quiet Nikah ceremony in Haripur on Wednesday. "The haq mahar has been kept at half a million rupees and Akhtar's parents attended the simple nikah ceremony," the report said. Rubab is from Haripur in the Khyber Pakhtunkhawa province, and has recently taken intermediate examination. The 39-year-old cricketer, popularly known as Rawalpindi Express, had earlier this month refuted the reports regarding his impending marriage saying he was unaware about such news circulating on local media.